John Arne Riise admits Mohamed Salah has surpassed Fernando Torres’ remarkable form at Liverpool with his stunning first season at the club. Salah’s four goal performance in the Reds’ recent 5-0 win over Watford took him to a previously unimaginable 36 goals across all competitions this season. The Egyptian subsequently overtook the 33 goals Torres racked up in the 2008/2009 campaign, having already beaten Luis Suarez’s season-best 31 goal tally for the club across 2013/2014. His predominant role on the right-hand side has contributed in elevating his record as an astonishing achievement and one deserving of recognition courtesy of the Player of the Season award. Salah’s influence on both the domestic and European stage has reflected his vast progression as a footballer and as a person since his tough stint with Chelsea. 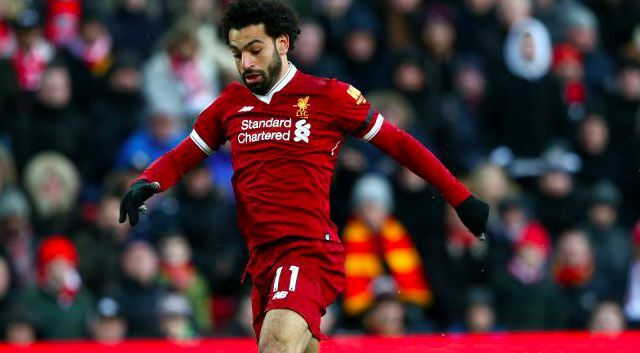 He has already drawn the attention of Real Madrid, whose interest is expected to see Liverpool offer Salah an improved contract worth upwards of £200,000-a-week. April’s Champions League quarter-final clash with Manchester City is the next high-profile opportunity for the forward to help this club take a monumental stride forward under Jurgen Klopp.